We can write this blog post you see, because we have both a luxury wall bed and everyday sofa bed within our range. And we definitely love them both just the same. One of our customers asked us this weekend whether they should have a wall bed or a sofa bed for their room. So we thought we would put them side by side and show you the differences. Hopefully we can help to make your decision or choice between the two a little easier. 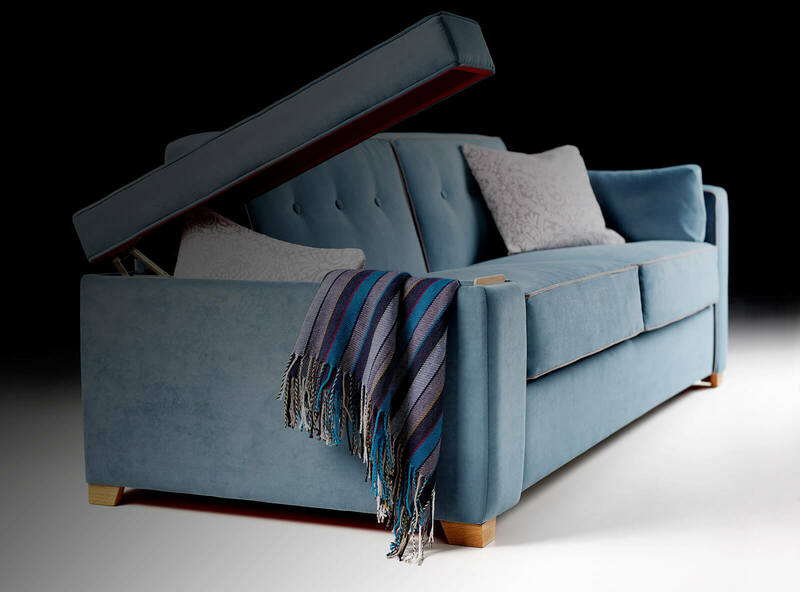 So why would you choose a luxury wall bed over an every day sofa bed? Or vice versa. The only way to know which one is best for you, is to test them at our showroom. If yours is going to be for guests, we recommend the Slim 1600. It is a little bit cheaper and suits every bodies tastes. Depending on what you are used to, depends on which mattress you might prefer. 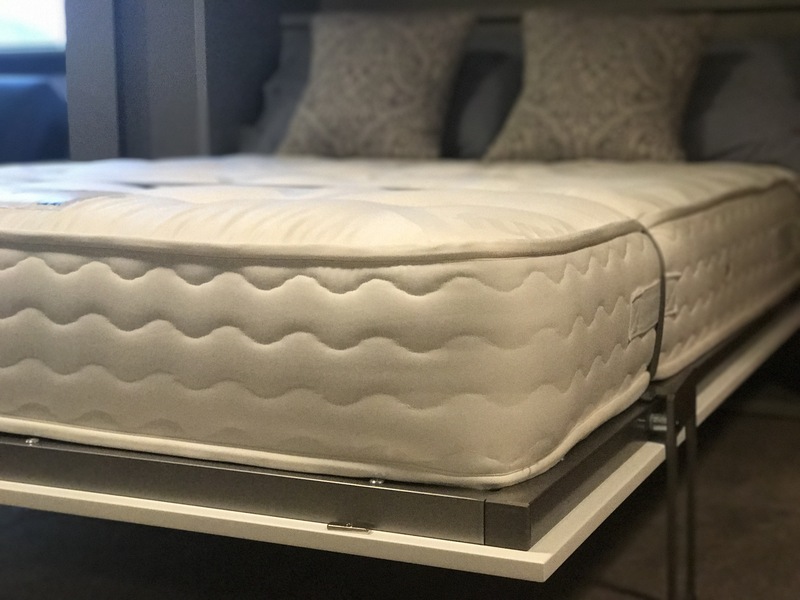 But the movement the mechanism offers means that the mattress will feel thicker than it actually is. A bed and Shelves you say? Can’t decide between two colours – why not have both on your luxury wall bed? We spray our wall beds using RAL colours. But we can spray with more than one colour. So why not have your frame in one colour, your door in a second colour and your shelves in a third colour? That way you don’t have to choose between your favourites. Of course, if you want to make it easy, you can certainly have it all in one colour. Not to really confuse you, but we have always been a really big fan of storage too. So we add storage anywhere we can in our products. That includes the arms in our sofa. You can fit four pillows in one side. If you don’t believe us we are more than happy to show you! And then a summer lower tog feather duvet can be squeezed into the other arm. How about that hey. So when the question comes..which do you really prefer? We have no answer, other than to ask if you need a sofa in the room? If you had a wall bed would you also need a sofa? 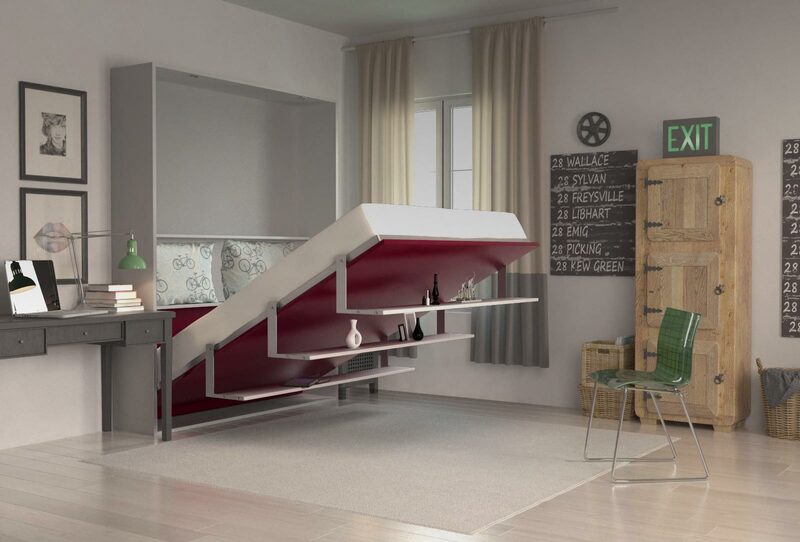 Supposing you answer yes, then you can save money by having the bed and sofa in one. If your budget is limited and you definitely need a sofa, then there really is no question. The everyday sofa bed will win. So then we get asked again, which one do we really prefer. Our answer is simple. They are both fantastic! Next Next post: Grand Designs Live Show – are you going?